A woman with platinum blonde hair stands precariously on a ledge on San Francisco’s Montmort Tower Hotel. Far below her a crowd of horrified onlookers raise their cell phones aloft. But, for one young woman amongst them, it’s personal. Could the woman be her mother, Didi Storm, who vanished when she was a teenager leaving her credit cards, one half of twin babies and a briefcase of phoney cash? Remmi Storm looks up to see the woman loses her footing, and fall to the ground accompanied by gasps from the crowd. Aghast, she realises that some of her questions may now never be answered. In a flashback to 20 years ago, Remmi and her mother are getting by in Las Vegas with Didi’s cabaret act. But Didi is no longer the toast of the Strip and is now working less prestigious clubs. She’s a celebrity lookalike impersonator with Marilyn Monroe being her speciality. But now Didi has a plan to make them rich. She’s recently given birth to twins, Adam and Ariel, who don’t officially exist. The masterplan is to sell them to their natural father, Brett (one at time, beginning with Ariel). Adam will be kept back as insurance. And so as night falls over the Nevada desert, Didi, wearing her most dazzling Marilyn costume, and with Ariel dressed as a boy in the child’s seat. She is going to a fateful rendezvous with Brett to hand over Ariel who he is expected to think is Adam. But he has a con of his own which she won’t discover until much later. There are also uninvited guests coming to the meeting and then there’s the shadowy but deadly Marksman who will put an end to one life tonight. After the explosive finish to the meeting none of their lives will ever be the same again. The narrative returns back to the present day; Remmi is now living in San Francisco and has made a life for herself (though she never stopped wondering about what happened to Didi and the twins). A new book has come out about the unsolved case called ‘It’s not me’. Didi, who successfully impersonated celebrities for most of her life has become one herself without knowing it. However, who is the woman that fell from the ledge? And then after 20 years, Noah Scott a name from her past comes back into her life. He survived being shot in the neck and is now a private investigator. Together, with assistance from Detectives Jorge Martinez and Dani Settler, they set out to discover the truth about what happened to Didi. Along the way, Remmi discovers long buried family secrets and resentments. 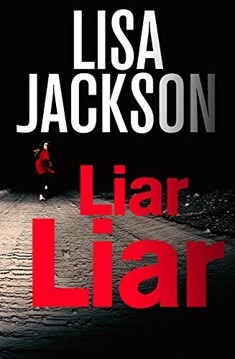 Liar, Liar is a very fast paced thriller with several twists and turns and a few coincidences as well. The title refers to Didi’s talent at lying but every character in the book is also double-crossing and lying to each other and themselves about their motivations. It makes a great holiday read as the plot keeps you guessing right up to the end.